The Finnish manufacturer Nokia has shown his cards going into this second half of the year with the new range that opens the platform Lumia Windows Phone 8. A total of two devices presented: the Nokia Lumia 920 -new flagship of the company, and the Nokia Lumia 820, also high end but something more modest and occupying this analysis. The terminal is notable for its design, which is out of the Lumia smartphones usual brand. His technical background, without reaching the level of his older brother, is a major leap when compared to its predecessor, the Nokia Lumia 800 . comes with a 4.3-inch AMOLED screen, dual core processor, eight-megapixel camera can record FullHD videos. So far Nokia has not provided information about the price you have this device, nor on the release date, which is expected this autumn. The new Lumia with Windows Phone 8 have not disappointed, as we have seen in detail the Nokia Lumia 920 and now it's the turn of Nokia Lumia 820. We discuss all their benefits. 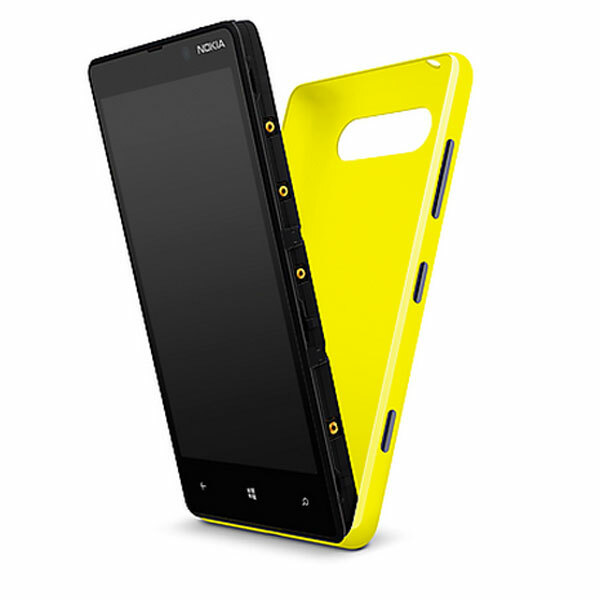 So far the most advanced Nokia Lumia have had a simple and original design made ​​of a single piece of polycarbonate. 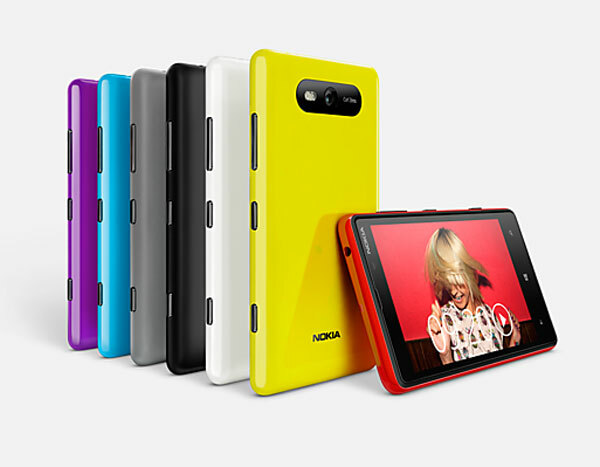 Third Nokia has changed the Noka Lumia 820 and has opted for a different look with rounded edges and interchangeable covers that gives a more casual touch. The range of colors is quite wide: white, black, gray, red, blue, violet and yellow. Changing the enclosure is to remove the battery, which was not possible with the previous design. The result is quite attractive thanks to the glossy surface, however the new construction set subtract resistance. The terminal repeats with the same type of screen that the Nokia Lumia 800, in terms of type of panel (AMOLED) and resolution, although increases in size to the 4.3 inch. Resolution is WVGA panel, or what is the same, 800 x 480 pixels. Failure to have opted for a higher resolution, eg 1280 x 720 pixels, is one of the major shortcomings of the terminal, especially taking into account that improvements in the rest of your sheet are remarkable. It also has the ClearBlack system ensures correct display regardless of ambient light conditions, this will be noted particularly when using the phone outside where reflections become more uncomfortable. One point in its favor is the presence of Super sensitive touch system that enhances sensitivity to touch and the screen can handle even with gloves. That a smartphone have a good connection profile is an essential aspect to fully exploit all its capabilities, a point that approves Nokia Lumia 820 note. The manufacturer provided him with the most common standards in these devices. To browse the Internet the terminal will use the 3G connection (HSPA + at 21 Mbps), when near an access point you can enjoy a faster speed thanks to Wi-Fi wireless port. It also features Bluetooth and a GPS antenna. These connections-3G. Wi-Fi, Bluetooth and GPS-are essential, but Nokia has also integrated several systems focused on displaying multimedia content (DLNA) and data transfer (Wi-Fi Direct and NFC). No surprises in the physical connections, they are composed MicroUSB 2.0 port and the audio jack of 3.5 mm. Nokia remains true to the tendency to create smartphones with good camera. 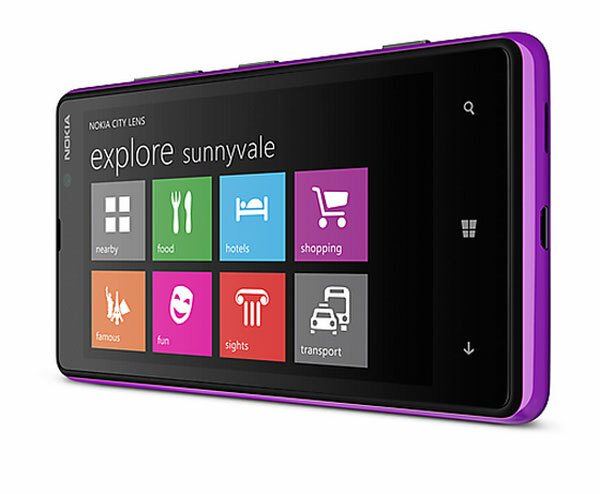 The Nokia Lumia 820 in particular carries an eight-megapixel sensor and a bright optics (f/2.2) signed by the prestigious Carl Zeiss. Chamber this model has features like dual LED flash, autofocus, digital zoom four increases and geo-tagging of images. The camera application offers many possibilities when shooting such as white balance (automatic or manual) to ensure tone colors true to life. It also allows you to select between various shooting modes and features a full image editor to crop, rotate or even add filters to the image. The front camera has a resolution of 0.3 megapixels. Moreover, with the advent of dual-core processors to Microsoft's mobile platform, it would have been unforgivable not offer the option to record full HD quality videos. 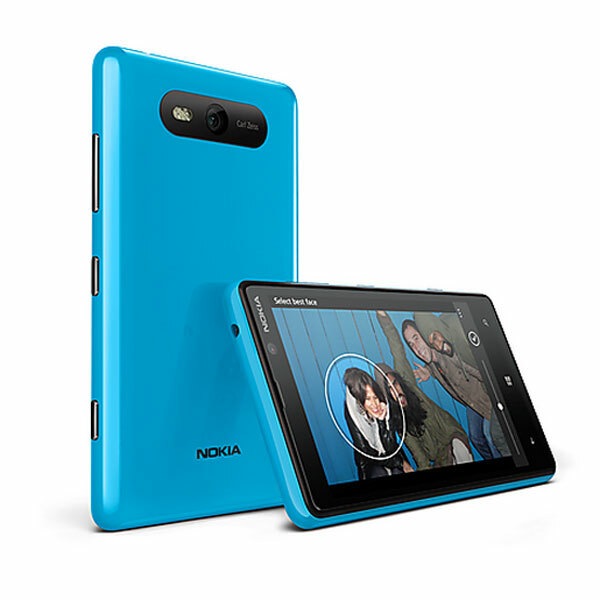 The Nokia Lumia 820 can record at a resolution of 1,920 x 1,080 pixels and also capture natural movements due to high capture rate (30 frames per second). The media profile of the terminal is complete in terms of the formats supported, the user will not have problems when playing a wide variety of files and you will not need to do conversions. The terminal also offers other services like Nokia Music Store and Nokia Mix Radio course integrates an FM radio tuner. Although the Nokia Lumia 820 is the most modest of two smartphones presented, equipped the same processor as its older brother. Windows Phone is a very light platform in terms of system resource consumption and get smooth performance with single-core processors . Now Nokia has opted for a Qualcomm Snapdragon dual-core 1.5 gigahertz, increasing the power significantly and making the operation of the terminal to be even lighter. Another novelty of this model is that it has a MicroSD card slot so you can expand the internal memory up to 32 GB extra. Terminal fund is eight Gb and users can enjoy seven extra GB cloud Microsoft (SkyDrive). 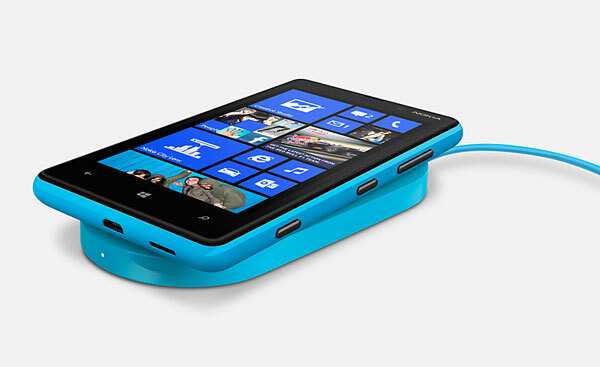 One of the features that most users will like this new Lumia range is the charger included in the sales pack. This is an induction charging base that allows mobile refuel while supported by this accessory without cables. But let's focus on the autonomy of this particular model. With a battery of 1,650 milliamps, Nokia says the Lumia 820 will be on for 330 hours when in standby mode. In talk mode time is reduced to fourteen hours or eight hours in the event that we are connected to the 3G network. 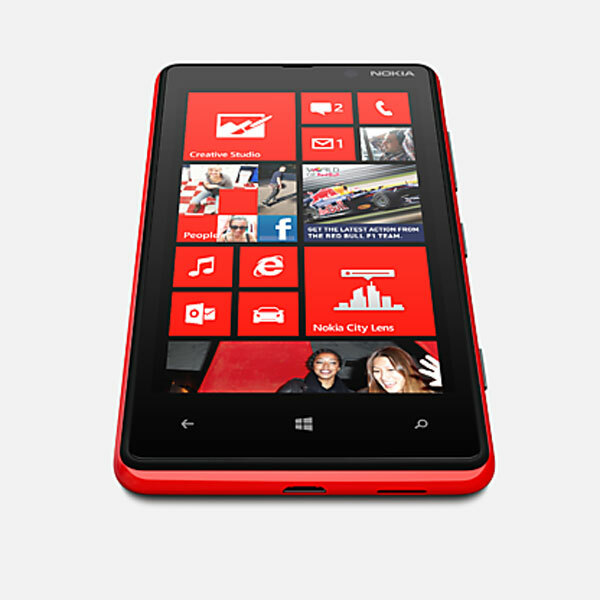 Nokia has done its homework and has improved many aspects if we compare this Nokia Lumia 820 with the previous model. 's New upper-middle range of the brand has a dual core processor, a full profile and record video FullHD connections. But they have made ​​a mistake by not integrating an HD resolution panel still has enough performance to move a display of these features and also allows Windows Phone 8. Before had an excuse because Windows Phone 7.5 did not allow higher resolutions but in this case there was no reason not to aim higher. Changing the design is also a plus, although the design of the Lumia 800 is very well done is to be thanked for not exploiting varying and users become tired. Without knowing the price, overall it is a very complete smartphone, balanced and easy to use thanks to the simplicity of Windows Phone.